You may have paid little or nothing for the drinks you had on the night of your DUI arrest, but the price you end up paying could be dramatically higher than you could have imagined. There are expenses even before you are ever convicted of a DUI. From the moment you are arrested and every moment moving forward, you will face challenges and potential expenses as you attempt to legally handle the DUI allegations that have been made against you. The financial implications of a conviction for drinking and driving can be staggering, both in the present and in the long run, which is why it is imperative that you retain effective legal defense to fight your charges. A "conservative" estimate of the costs of a DUI at $16,000, while the Administrative Office of the Courts calculates that a DUI will cost over $45,000, factoring in the increase in insurance over the course of 13 years. Bail Costs. The financial drain begins with getting out of jail. If you are not released on your own recognizance, you can expect to pay anywhere from a few hundred to thousands of dollars in bail. Towing Fees. You may have to pay hundreds of dollars on fees for towing and vehicle impoundment fees to get your vehicle back after the arrest. Insurance. When your insurance company finds out that you have been convicted of DUI-or even arrested in some cases-you can expect to see your premiums go up by a factor of 25% to 200% or more, depending on your driving record. Court Fines. If this is a first-time DUI, the judge can order you to pay fines of $2,000, plus mandatory assessments and court costs, with increased fines for repeat offenders. Alcohol Classes. You will most likely be required to take part in alcohol classes, which can cost between $350 and $1,500. Alcohol/Drug Inpatient and Outpatient Programs. If you are required to enroll in a treatment program, you can except to pay hundreds to thousands for the cost of the program if you do not have insurance. Ankle/Alcohol Detection Monitoring Device. In some cases, you may be required to place an alcohol detection device on your ankle in lieu of custody time in jail. You may expect to pay hundreds a month. Work Program/Community Service. If you are ordered to complete community work, you may expect to pay anywhere from $250 to $1000 to the county. Ignition Interlock Device (IID). You may have to pay to have an ignition interlock device installed for about $200 and maintained for roughly $100 per month. DMV Fees and Costs. In addition to court fees, you will be required to pay DMV in order to obtain your license if it gets suspended. If you are convicted of a DUI charge, you will be required to pay an addition $70 fee on the day you are convicted. Failure to do so will result in a suspended license. If you drive while your license is suspended, you will receive an additional misdemeanor charge, required to install an IID for 1-3 years, be in violation of your probation, and be considered a habitual offender because you have too many points on your record. Probation Fees. Many people who are convicted of driving under the influence are ordered to probation for three to five years, resulting in ongoing monthly probation fees. If you violate probation, the court can order you to pay a minimum of $150 per charge you are convicted of when you were sentenced. The Impact of a DUI Conviction on Your Career. Beyond the court, DMV, and insurance costs, you also have to consider the effect that a DUI conviction can have on your career. Certain companies will terminate an employee on the grounds of a conviction, or you could lose your job if you are sent to jail or prison. Even if you are lucky enough to keep your position, you may have a more difficult time in getting promoted or trying to find new employment if the DUI conviction is on your record. Because you may encounter considerable difficulty in locating work if you have to disclose the conviction on your application, it is important to be diligent when you are still facing criminal charges. Being disqualified from the positions you want could end up depriving you of untold thousands in income over the course of your career. You will have problems with your DUI conviction until you are off probation and clear your criminal record. The only way to help eliminate the problem is to request an expungement in order to get your charges dismissed. The one aspect of the financial implications of your DUI over which you have direct control is how much you pay for legal fees. Although there are numerous options to handle your legal representation, it is easy to see that there is only one clear choice. No Legal Fees, but High Risk. You can represent yourself, which is absolutely free up front, although there is a high likelihood that you will lose because you do not have the experience and knowledge of the DUI laws necessary to stand up to the government. In most instances, crucial dates and important events are missed because you did not hire an attorney. In fact, the biggest regret most people have is by not retaining an experienced DUI lawyer to represent them at court and at the DMV hearing. People that represent themselves tend to pay more for the DUI charges because they pay higher fines, harsher sentences, receive new charges or violations of probation, all stemming from the DUI arrest. As a result, it is much more expensive than the cost of hiring an experienced DUI attorney from the outset. And in some cases, it will cost you for years to come because you will be dealing with unforeseen problems as a result of the DUI. No Choice & Inexperienced Lawyer. If you are indigent, meaning you do not have enough resources to hire an attorney, you have a right to an attorney, but you do not have a right to choose your lawyer. The appointed lawyer need only be a member of the California State Bar and does not have to be the best attorney and may not even focus on DUI cases. Most public defenders that handle DUI cases are new lawyers that are poorly paid, overworked with hundreds of cases per week, and are unable to devote the time your case needs. You will only receive legal help in court. The public defender will not represent you at your DMV hearing so you will be required to represent yourself at your DMV hearing. As a result, you will likely lose your license because of your inexperience with the DMV administrative hearings. And if are not completely indigent, you will be required to pay the county for the services of the public defender. Even if you do not have the resources, the judge may charge you to cover some of the cost of the public defender. Low Fees, but Limited Service. When retaining a lawyer, it is important to determine what you are truly receiving when you contract for DUI services. You can hire an attorney who advertises rock-bottom prices, but you should only do so with the understanding that you will get what you pay for: an attorney who charges little will also do little for you. In many cases, you will find attorneys that lack experience, do not have the resources to properly defend your case, nor do they have the criminal and DUI training needed to properly handle your case. In many cases, rock-bottom lawyers lack the skill and training required to handle DUI cases. The attorney may not usually handle DUI cases, or he or she understands very little of the criminal courts. By retaining lawyers that are not charging reasonable fees, you will likely receive minimal advice and little help when you need help the most. Last, it is likely that you will be doing more work than your attorney in trying to resolve your criminal or DUI matter. Legal Fees Outweigh the Benefits. Attorneys have big egos and may think their service is worth more than what is a reasonable rate to handle your case. Although every case is different, you need to ask, “What work will be done in my case?” A classic sign of overcharging occurs when you hear scare tactics, demands to pay immediately, demanding you to allow them to come to your house, or any action that makes you feel that you have no other choice. When hiring a DUI lawyer, you should always be given an opportunity to think about your decision before you commit. Some attorneys charge for unneeded legal services. For example, you can spend thousands of dollars on a DUI lawyer that will claim that he or she will throw a jury trial in free. Trials are long and require a great deal of work, so chances are you are being overcharged. This is even more evident when you learn that most cases (90-95%) resolve before trial. If a lawyer says you can get a free trial, you are probably wasting you money. Only the lawyer benefits from this arrangement because you are paying in advance for something you may not receive or even want. If you are looking to make a smart choice for a DUI lawyer, hire a DUI lawyer that will make sure you are properly represented without breaking the bank. When you retain a DUI attorney that takes the time to educate you about your rights, explains your options, and uses her experience to get you the best possible result, you will not be wasting your money. By being proactive, we can devise a plan to work to make the DUI charge more affordable, as well as explain the common mistakes unrepresented or underrepresented persons make that normally leads to future criminal charges. We provide quality legal representation at rates you can afford. 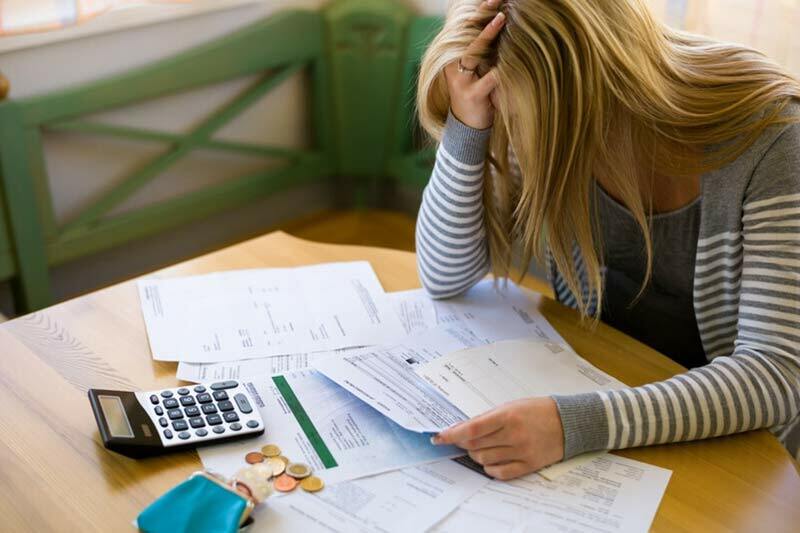 In many cases, our clients are able to save money because they are more educated, and their charges, fines or jail/work program, and DUI school may be reduced or even eliminated. We also help you avoid future legal problems that may stem from your case. We will correctly advise you do you can avoid costs that are completely avoidable if you know how to avoid the pitfalls that likely occur with others that are not properly represented. We know you did not plan on getting arrested for a DUI so the DUI costs are unexpected. Therefore, when you are charged with a DUI, it is important to get the correct information on the total fines, fees, and expenses a Fresno DUI arrest will cost you. Experienced DUI lawyers do not have to cost a fortune. At the Law Offices of Tina M. Barberi, PC, we offer affordable flat rate fees and we will never include a “jury trial” in our initial fees. We don’t want you paying for something you do not need and may not even want. Although every case is different and so is the legal fees, we will do our best to prepare you so you can determine what steps you need to take in order to afford these costs. Further, we represent you in not only your court case, but at your DMV hearing as well. If you need time to retain a DUI lawyer, we will also give you advice on ways to request court or DMV continuance so you can retain an attorney of your choice. We will also request a DMV hearing for you without any costs or obligation. At your free consultation, we will give you the best estimate of your total costs of the DUI, including the legal fees, court fees, DMV fees, expert fees, or any other fees that you may encounter.